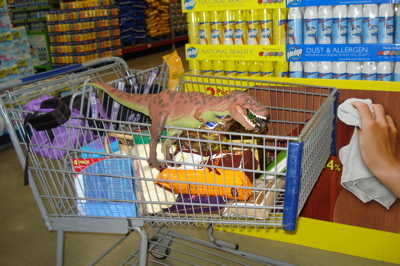 Dino Search will help you find the Dinosaur toys you want. Welcome to The Dinosaur Toys Collectors Guide Dino Search (-osaurus) Center. Where all your searches can come true. Please note that your Dino Search results page will have ads ABOVE and BELOW the actual search results. Those are not from the site, but should be of interest, since Google targets the ads to your particular search. Return from Dino Search to the Dinosaur Toys Collectors Guide home page. "I need one of those, one of these, two of them...."